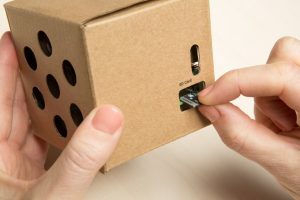 So the Pi Zero is now avialable in quantities, at least to Google? Zero has been available in bulk from RPT if you ask and buy in bulk, but you need to contact them. You don’t pay the Educational price though (aka 1 per person), you might find it is more per price. The ZeroWH this uses, you can buy in bulk from your Authorised Reseller since its launch (H = headered version). What is RPT? I am looking for Zero W’s in bulk. Thank you, Bensimmo. I have been waiting a long time for this information. There is so much mis-information out there that it is quite difficult to get to the bit you need to know. Obviously, Google can afford to buy in bulk. That is a given ;) My point was that it is available in bulk to them. Now I know it may be available in bulk to me, too. 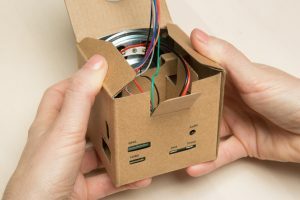 Is there any point publishing an article for a hardware kit that’s not available in the United Kingdom? Are there any plans to make it available here? Dougie this hardware kit is not currently available within arm’s reach of where I’m typing this so why should it be of interest to me ? Appears to match their mission statement so, why not? I’m with Dougie on this. RPT should have made it a condition of the supply of Raspberry Pi’s that Google make this globally available straight away. I couldn’t work out how to get the awful Target website to ship it outside North America. Why get us all excited but unable to purchase. Having looked over the website, it seems to me (for the Voice, since the other has never landed over here yet) that they have nerfed all the nice extras, pins, Servo’s etc, from the HAT and made a compact bonnet with the microphone integrated, but you do get audio out for a Zero. So while you get less, other than it being more compact. You pay more than the extra price of the Pi. I hope they don’t stop Version 1 and do keep it’s development going. It’s a better HAT. Be graet if they jsut sold the VoiceBonnet/VoiceHat’s on their own, without the other parts to bring the price down. 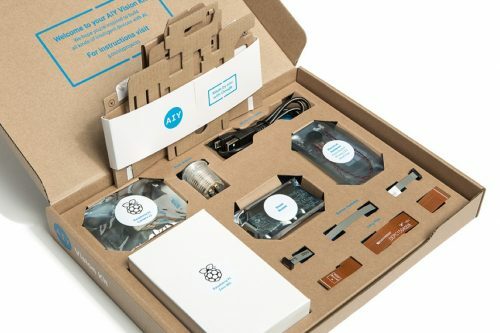 I have the voice AIY kit version 1..it said I needed a pi 3 .. so will it work with a pi zeroW or a pi 2? I didn’t even think to try since I had the pi 3 and it works great..But if it would work with a pi zeroW I would solder the pins and repurpose the $30 pi 3.So has anyone tried using a lesser pi with V1? Gostaria de comprar ambos os kits! o envio para o Brazil é possível? I want to know if AIY supports Korean. 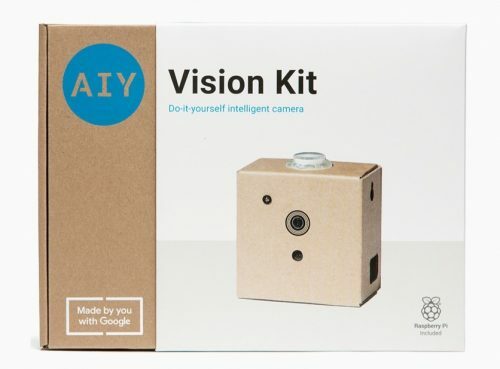 I Just completed and new Vision Kit, I like it, it worked and went together fairly easily. I also tried the original version which was a disaster! I’ve a few of the demos and am now very intrigued. I also built the original version of the Voice kit which was a success. Moving it over to the Pi Zero is a big plus on the new version. I may pick one up. As an aside, Micro Center was selling the version 1 kits for less than three dollars. I am giving them away as “party favors”. Here is my number on complaint. There are two command terminals provided. One in the tool bar one on the desk top. The one on the desk top has the path st for the AI libs and so the demos work as published the tool bar version (same icon!!) has the expected Pi path set. I must have wasted two hours before I figured this ou. Hey GOOGLE, how about a note on this or a different icon on the desk top. I have both devices set up headless. I think this is the wasy to go. Next step on the Vision is to get smart on Tensorflow and the APIs for writing apps. Wow, you got the Voice V1 to work! I’ve spent a good 6 hours trying different things with the latest google image (aiyprojects-2018-04-13.img) and getting 404’s and 403’s, finding conflicting directions as to what to name the credential file. I don’t think anyone at Google ever tested the latest release with a V1 kit, so you might want to warn all those people you are handing the kits out to. UK company releasing in US first…Hmmmmmm seems the UK has to wait for things as always even from a HOME GROWN COMPANY……………….POOR SHOW!!!!!!!!!!!!! 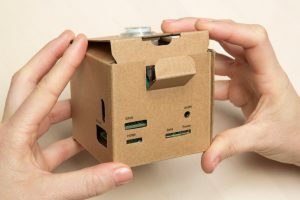 This is a Google product which happens to use Raspberry Pi, not a product from Raspberry Pi, and the last time I checked, Google were a US company. 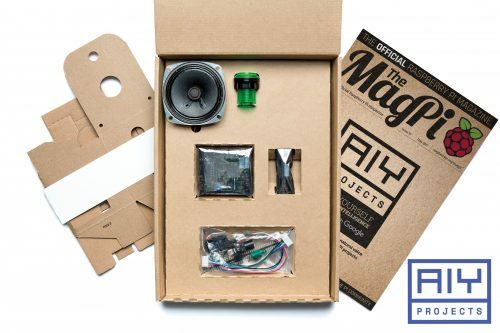 Where　can I download the SD card image of the voice AIY kit version 2? Because I had AIY V1 HW and RP Zero and try to run v2 on them! The V2 kit should come with a preloaded SD Card.